This decoder is for converting Marklin/Trix H0 locomotives with built-in high-efficiency motors or other DC motors. 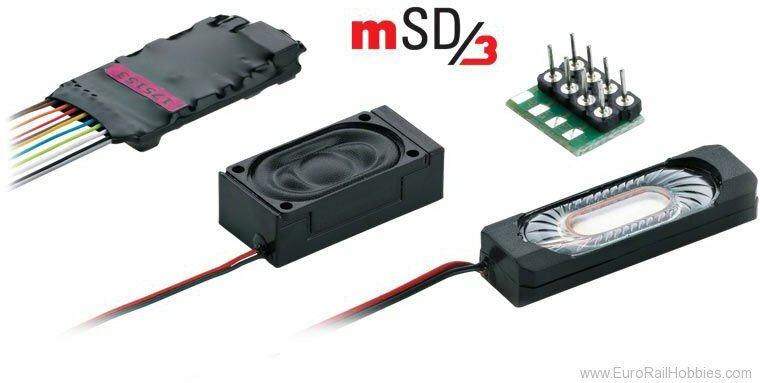 The marklin SoundDecoder3 has a wiring harness soldered to it with an eight-pin NEM interface connector plug for installation in many locomotives with the appropriate NEM interface connector and locomotives with a lack of space. The marklin LokDecoder3 supports the digital formats mfx, MM1, MM2, and DCC. The decoder has preset sound for a steam locomotive.